Chris is responsible for all aspects of Brightline’s operations, including station and mechanical operations, transportation, safety and security and the overall guest experience. Prior to joining Brightline, Chris was the vice president and general manager for SBE, a lifestyle hospitality company that develops, manages and operates award-winning luxury hotels, residences, restaurants and entertainment venues with brands such as Delano, SLS and Mondrian. 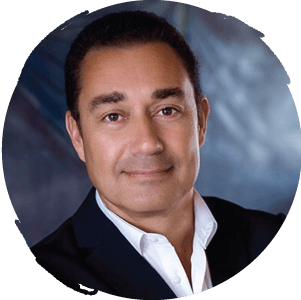 Chris also served as senior vice president and general manager for Atlantis in the Bahamas; as the president for the Condominium Association; and as president for The Blue Project Foundation, which is committed to sustaining, protecting and supporting the health of the oceans. Additionally, he held several positions as managing director and general manager with The Ritz-Carlton Hotel Company, Marriott International and Intercontinental Hotels and Resorts. Born in Chile, he has worked and lived in United States, Caribbean, Europe and Latin America. He has an MBA, a Bachelor’s Degree in Hospitality Management, as well as an International Business degree.